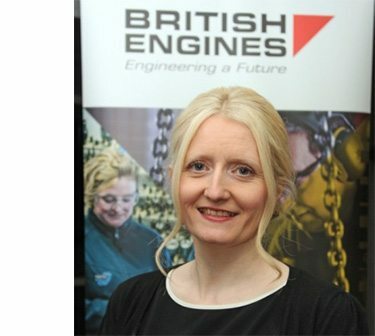 The British Engines Group employs over 1,400 people in the North East across seven engineering businesses. We spoke to Wendy Tatters, Group HR Manager to find out what it is she looks out for when recruiting new engineers for the group. I’ll always check that the candidate’s CV meets the job criteria through qualifications, skills, experience etc., before I shortlist for an interview. Behavioural skills are vital for anyone attending a job interview; punctuality, communication, organisation and the ability to work as part of a team are all skills I look for in a candidate. Is there anything specific you look for in an engineering candidate? Engineering is very competitive; there are a lot of candidates to choose from so people need to make themselves stand out through their passion for engineering. Knowledge of the engineering industry and an interest in keeping up to date with industry news and standards is important. It’s always a good sign if candidates are members of the Institute of Mechanical Engineers (IMechE) or other industry bodies. Experience of the product or role they will be involved in is important. Sometimes jobs require specialist skills or processes so the candidate should have experience of these and be able to demonstrate this. If they are looking to move into a more senior role, evidence to support their capabilities is important. Innovation and forward thinking is important to us as a business, so being able to show that they would be able to fit into this culture is essential. What about a candidate who has just left university? I would look at the qualifications they have and for any work experience or placements in industry. It’s always nice to see their university projects as it gives me an understanding of what they have been learning and their engineering knowledge. Is there anything that would put you off hiring a candidate? When someone doesn’t know their CV or cannot talk about something that is on their CV it’s usually not a good sign. I also find it off putting when people don’t answer the question that has been asked, but instead skirt around it. Do you have any tips for someone looking for an engineering job? Remember to be open minded, engineering skills are often transferrable meaning there are a lot of opportunities available. Before applying for a job, make sure you fit the job role criteria and your CV is up to date. Prepare – make sure you know your CV and be able to discuss everything on it competently. Before you go ask what kind of interview you will be having, you may need to bring evidence with you or complete a test whilst you are there. Research – look up the company you are applying to work for, understand its product offering and the markets it works in. Make sure you listen to the question you are asked and answer it fully. Never be frightened to show personality and always ask questions. Having a notepad and pen is always a good sign that someone is interested in the job they are applying for. Remember: an interview is a conversation not an interrogation!